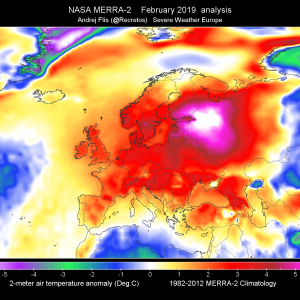 A large upper low over western Mediterranean slowly moving NE towards Italy while a long-wave upper trough spreading from western towards central Europe. 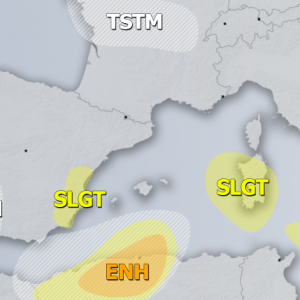 A surface low is deepening over western Mediterranean. 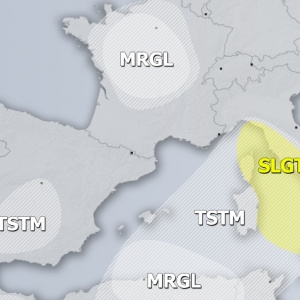 A SLGT+ risk has been issued for S France into Ligurian bay and surroundings with threat for torrential excessive rain, severe winds and some tornado threat. Area will be monitored for possible upgrade to MDT on DAY 1. 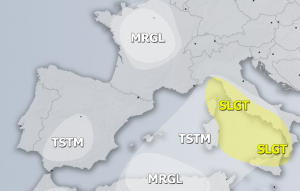 A SLGT risk has been issued for Tyrrhenian sea and surroundings with threat for torrential excessive rain, large hail, tornadoes and severe winds. 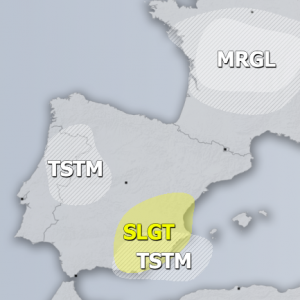 Area will be monitored for possible upgrade to MDT on DAY 1.